While more and more people may be doing their shopping online these days, nothing quite beats the thrill of a shopping spree at an action-packed mall. From Canada to Dubai, here are some of the most impressive malls around the world that every shopaholic needs to visit at least once in their lifetime. 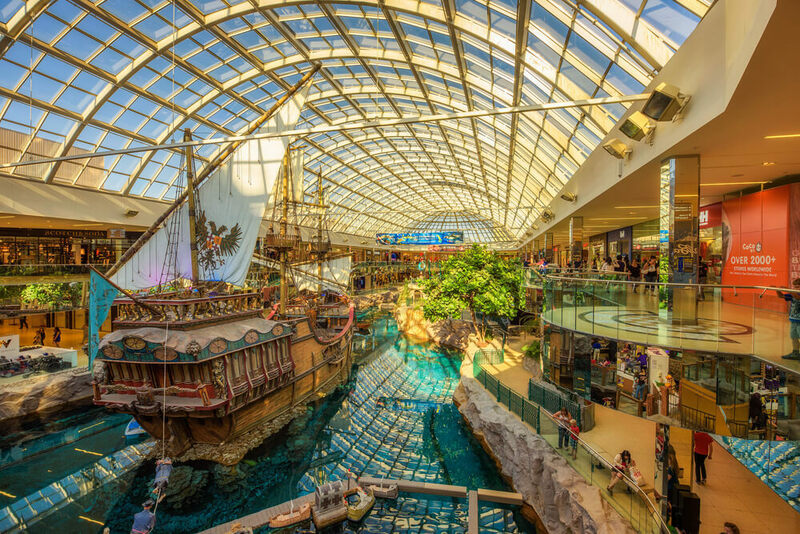 When Canada’s West Edmonton Mall first opened its doors in 1981, it was the largest shopping mall in North America, and this is a title that it still holds. Covering 490,000 square meters in area, more than 32 million people visit this shopping mall each year. Plus, parking is always a breeze with space for more than 20,000 vehicles. As you can imagine, the sheer number of stores here mean that both luxury and bargain brands are represented, giving shoppers plenty of choice. Wondering what the attractions at this mall are? One of the most popular is Galaxyland, which is the second largest indoor amusement park in the world. You will also find the second largest water park in the world here, as well as an ice hockey rink, a shooting range and so much more. Don’t have much time to spend here? If so, do not miss the themed sections of the mall. From Bourbon Street, which is inspired by New Orleans, complete with bars and restaurants, to Europa Boulevard, which looks just like a street scene from a European city, the way in which these areas have been designed are truly spectacular. What could be more impressive than the largest mall in the world? Stretching out at 1.1 million square meters, which is basically the equivalent of 200 soccer fields, you can be sure that you will find exactly what you need at the Dubai Mall. In addition to the two sprawling department stores within the mall, there are 1200 other retailers here, as well as over 200 dining venues. Wondering what sort of stores you would find here? If you get tired of shopping, there is plenty else to do here. The Dubai Aquarium and Underwater Zoo is always popular, especially since this is one of the largest aquariums in the world. You will also find an indoor theme park, an Olympic-sized ice rink, an entertainment complex for children, and so much more here. 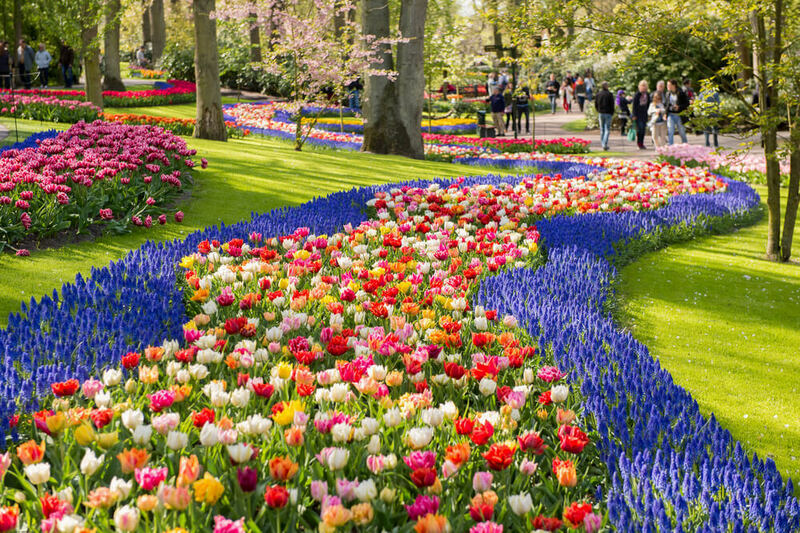 Want to see some stunning views? Head up to the mall’s Observation Deck, which is the highest one in the world, for some extraordinary views of the Burj Khalifa, the tallest building in the world. Famous for being the largest shopping mall in Europe, Istanbul Cevahir is known for being the prime retail spot in Turkey. While its 280 stores and 48 restaurants may not seem as much as some of the other malls on this list, Istanbul Cevahir still boasts a couple of features that make this mall really stand out. The first is its roller coaster, which spans the interior of the mall. As you can imagine, this gives both shoppers and thrill-seekers some truly unique views! The mall also boasts a wave pool and a bowling alley, as well as 12 cinemas, one of which is a 3D IMAX theater. Want to see something really special? Look up at the mall’s glass roof and you will notice a massive clock. This is, in fact, the largest clock in the world, with each digit on the clock being three meters in size. In terms of the stores at the mall, you will find everything from bargain chains to high fashion brands. 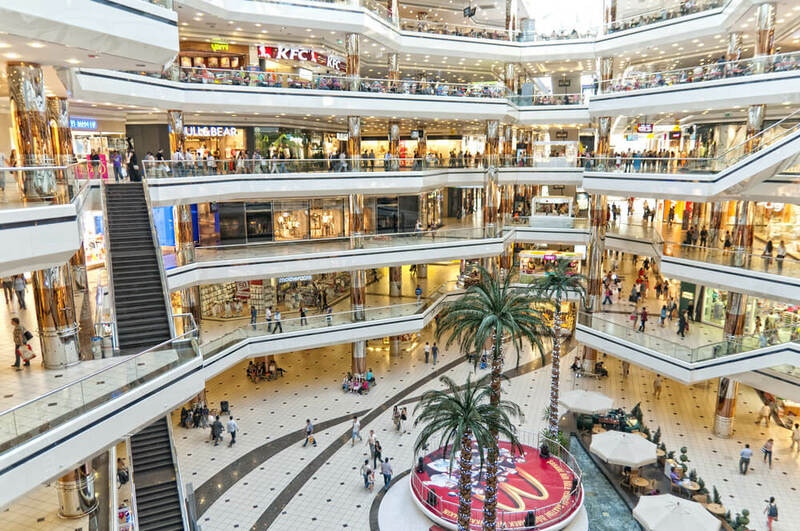 Many of the brands that call this mall home cannot be found anywhere else in Turkey, making this the mall to visit if you are looking to purchase a one-of-a-kind item. Not only is the Ala Moana Shopping Center the largest one in Hawaii, but this is also the largest outdoor shopping mall in the world. 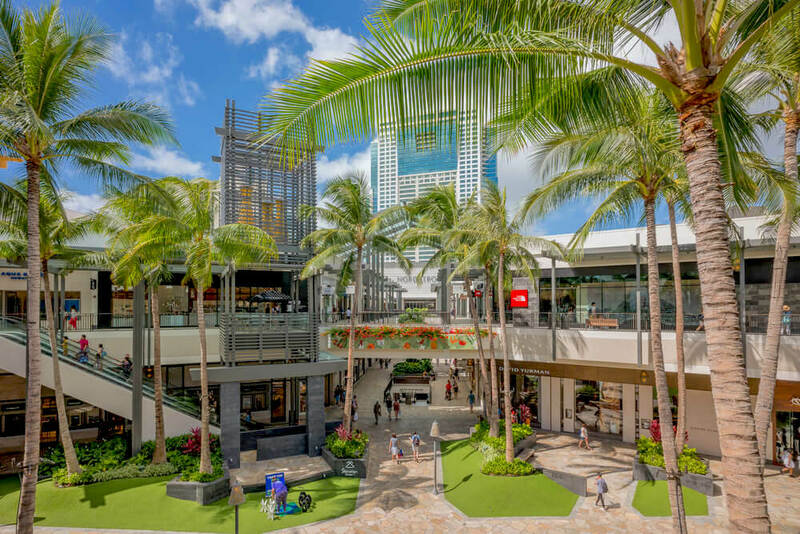 As you can imagine, this mall offers quite a unique shopping experience, enabling you to make the most of the blue skies and balmy temperatures of Honolulu. The landscaping here is really outstanding, with banana and kukui nut trees lining paths, along with koi ponds and tropical flowers. The mall stretches out for over two million square feet, and is home to a few special stores that draw in shoppers from far and wide. One of these is the Louis Vuitton boutique, which is one of the largest Louis Vuitton stores in the world, while the Chanel Fine Jewelry boutique is also extremely rare. You will also find a Philip Rickard Factory Showroom here selling exclusive Hawaiian jewelry pieces. Many of the designers housed at this mall, from Gucci to Dior to Hermes, often release exclusive designs just for their Ala Moana boutiques, making this the mall to go to if you are seeking limited edition pieces. Head up to the mall’s fourth floor terrace, where you can take your pick from more than 70 different dining establishments. Scattered among the chain restaurants are some must-visit restaurants, from the famous Tsukiji Fish Market and Restaurant to the Japanese food court and beer garden. Make sure that you are at the mall for 1pm, no matter which day of the week you are visiting. Because each day at this time, the mall hosts a traditional 20-minute hula show with dancers performing native dances. Located in Bangkok, Siam Paragon faces plenty of competition from its next door neighbor, CentralWorld, which is the largest mall in Thailand. 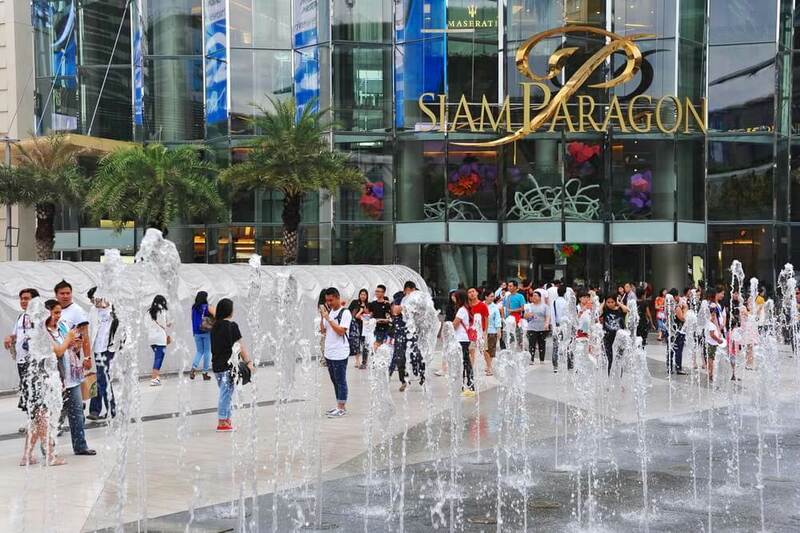 However, shoppers still flock to Siam Paragon for its more upscale shopping experience. This mall focuses on upmarket boutiques, and its open-plan design enables shoppers to see all of the stores on the five levels around them while they browse. Wondering what you will find on each of the five floors? The cinemas on the fifth floor are the place to go, but if you want a more luxurious experience, book yourself in for the Nokia VIP Ultrascreen. You will find deep-seated double leather sofas here, along with footrests, blankets and complimentary food and drink. Whether you are on your own or traveling with other people, this is a great way to really pamper yourself while in Bangkok. Are you in Bangkok on holiday? If so, make sure that your first stop at Siam Paragon is the information desk on the ground floor. Here, you will be able to sign yourself up for a Tourist Discount Card, meaning that you will be able to enjoy a 5% discount from almost every store at the mall. 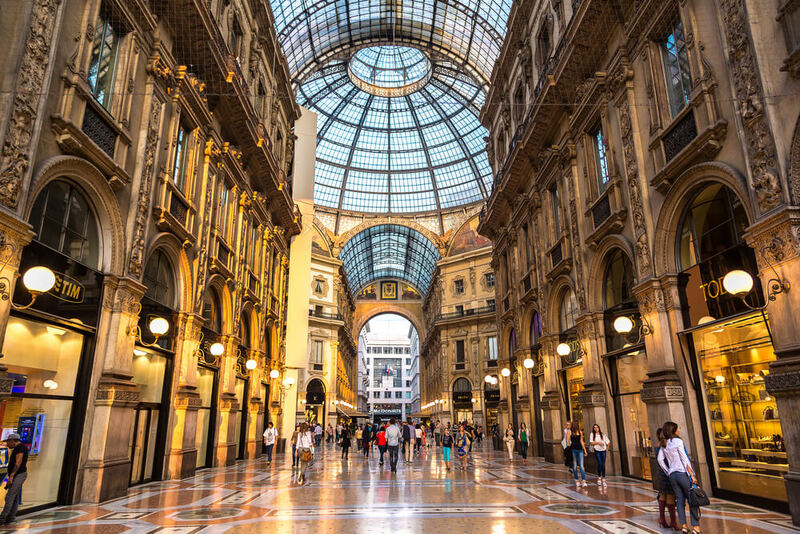 Milan is already known for being one of the fashion capitals of the world, so it should not come as a surprise that the city is also home to one of the world’s most impressive shopping malls. Completed in 1867, this is the oldest shopping mall in Italy, and is also a major tourist hotspot in Milan. Because its historic architectural style is truly extravagant, with its glass dome allowing plenty of natural light to flood through. Wondering what type of stores you would find in this majestic mall? The store’s match the malls extravagant décor, with high end brands galore. There are a number of haute couture designers here, along with jewelry stores, book shops and fine art galleries. Some of the oldest restaurants in Milan can be found at the Galleria Vittorio Emanuele II. For a Michelin-starred feast, head to Felix Lo Basso, where you will be able to enjoy a panoramic views of the city alongside your meal, or to Cracco, which can be found next to the Prada boutique. The historic Savini is also worth a visit, especially if you would like to sample some traditional Milanese cuisine. Located in Doha, which is the capital of Qatar, the Villaggio Mall will definitely impress as soon as you set foot inside the incredible building. The ceiling and lighting of the mall has been designed to make you feel as though you are shopping outdoors, with different sections of the mall representing different times of the day. Whether you want to shop under bright sunlight, in the vibrant colors of sunset, or at night time with street lamps, this mall offers all of this and more. The décor of the mall is pretty impressive too, with everything focused around an Italian theme. Wondering how many stores you will find here? There are around 220 stores in total, along with several different restaurants and food courts. The stores range from high street brands to high fashion, giving shoppers plenty of choice. There are quite a few entertainment options to enjoy at this mall too, with the most popular being the ice skating rink and the IMAX 3D cinema, which offers 13 screens. There is also a theme park here, known as the Gondolania Theme Park, where you will find multiple attractions, including a bowling alley and a roller coaster. 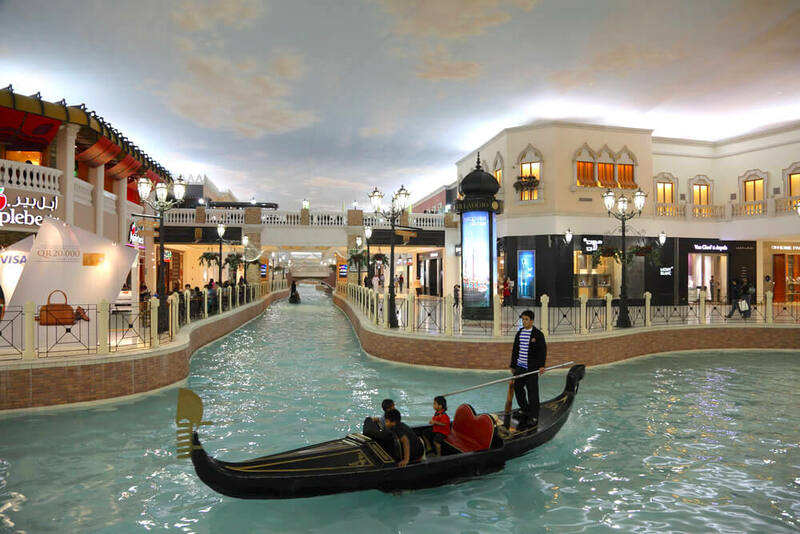 There is a canal that runs through the mall, complete with gondolas to carry shoppers, and all of their bags, from one end to the other. This fits in perfectly well with the mall’s Italian theme, and really gives the mall an extra air of luxury. This mall made headlines in 2012 after a devastating fire broke out within the building. Although it took a few years for most of the stores to properly bounce back, the majority of them are open for business once again. For those of you who love to shop, these malls are definitely ones that you will not want to miss. Whether you want a tropical outdoor shopping experience in Hawaii, or a sprawling Middle Eastern mall in Dubai, make sure that you prioritize each of these malls when putting together your shopping bucket list.